The Trump administration said again that undocumented immigrants from Central America should be sent back without access to U.S. court or asylum systems. The Trump administration is planning to push Congress anew to pass proposals aimed at reducing the number of undocumented immigrants crossing the U.S. border, particularly from Central American countries, senior White House officials said Monday. The announcement follows two days of tweets from President Donald Trump calling on lawmakers to pass "Border Legislation" — changing Senate rules to do so, if necessary — and warning of dangerous "caravans" of immigrants headed for the U.S. border with Mexico, bringing drugs and crime with them. The White House officials, briefing reporters in a phone call, pointed to the legislative package the administration has pledged to send to Capitol Hill to address what it sees as "loopholes" and "serious deficiencies" in current immigration laws. The policies mentioned in the call largely resembled areas where the administration has previously pushed unsuccessfully for congressional action. 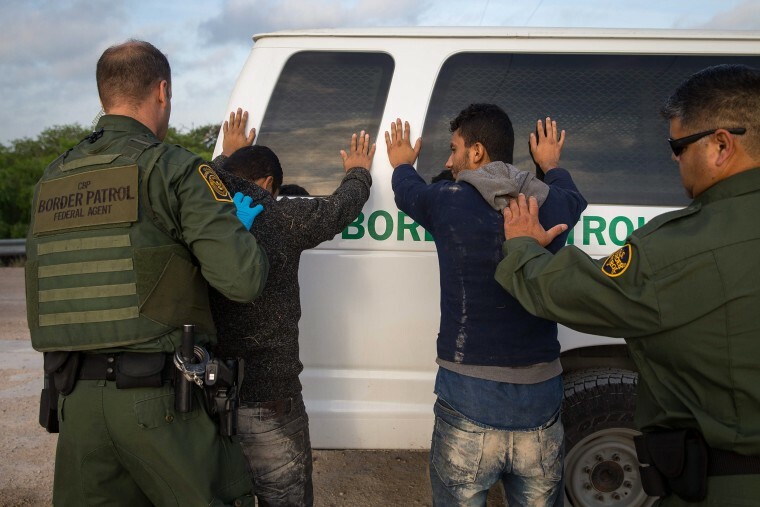 The officials echoed past complaints from the president that border agents’ "hands are tied" by existing immigration law, and said undocumented immigrants from Central America should be sent back to their home countries without full access to the U.S. court or asylum systems. The president tweeted over the weekend that there would be "NO MORE DACA DEAL" to provide legal status for immigrants brought to the U.S. illegally as children. Officials on the call would not elaborate on whether that meant there would be no further efforts to reach an agreement with lawmakers to enact some of the items on the administration's wish list in exchange for legal protection for individuals previously covered under the DACA program.